Even after being declared a blockbuster, Singam 2 is still attracting the masses to theatres. As a result, songs such as Vaale Vaale and Singam Dance have emerged as crowd favourites. Singam 2 - A blockbuster in the making? This page hosts the Top Ten Tamil songs of that particular fortnight. It also includes details about each song like its name, the singers' names, the lyricist's name and also a brief review of each song. People looking for current Top Ten songs, Top Ten songs countdown, music review, songs review, music rating, songs rating, audio review, songs download and mp3 download will find this page useful. 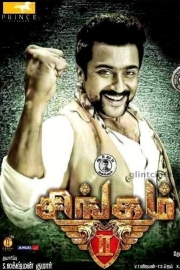 Singam 2 Vidhai Pola Singam 2.